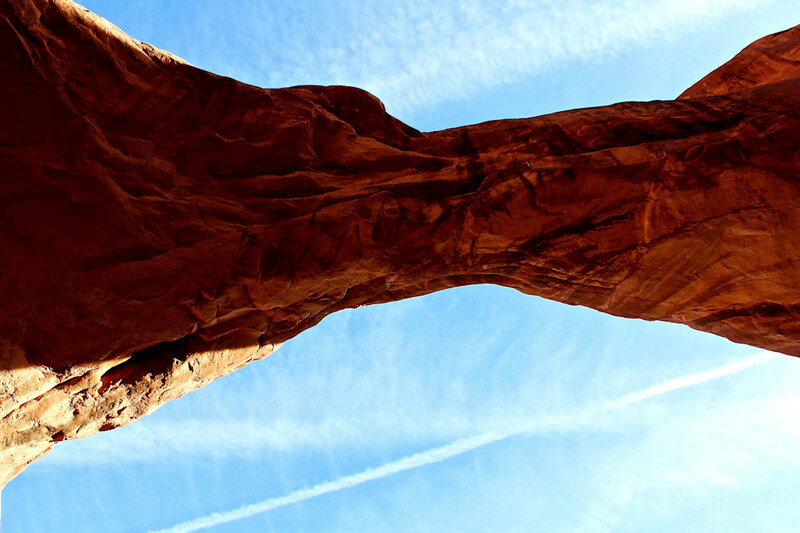 Details on Double Arch, blue sky, and overhead contrails. Arches National Park, Utah. Fall, 2015.